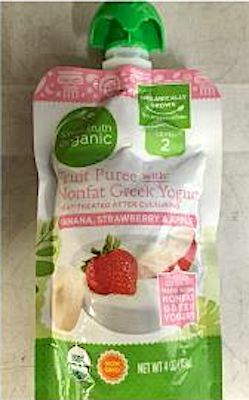 US/Silver Spring: Perrigo Company, an Allegan, Michigan establishment, recalls certain batch/lots of Simple Truth Organic Banana, Strawberry & Apple Fruit Puree with Nonfat Greek Yogurt due to suspected mislabeling and consequential undeclared Milk, a known allergen, source of dietary intolerance and possible trigger of Anaphylaxis, a serious and potential fatal situation, requiring immediate medical intervention. 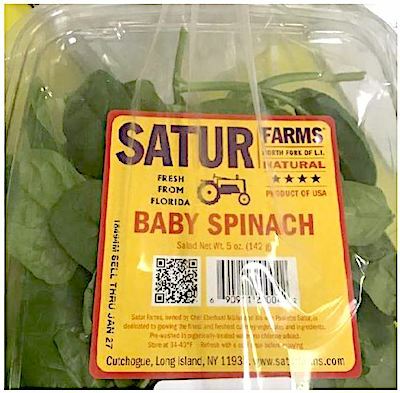 US/Silver Spring: Satur Farms, a Cutchogue, New York establishment, recalls certain batch/lots of Baby Spinach and Mesclun due to suspected risk of Salmonella contamination and consequential risk of Gram-negative bacterial infection, severe illness and/or possible life-changing complications, all serious health hazards. Please note: sold in similar but not identical packaging. 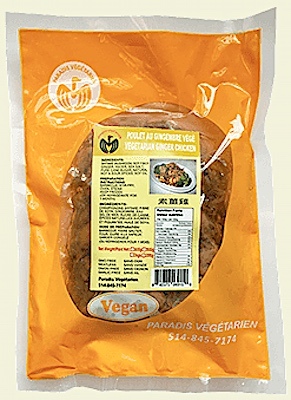 Canada/Ottawa: Paradis Végétarien Inc., a Montréal, Québec establishment, recalls certain batch/lots of Paradis Végétarien branded Veg-O-Mix Mushroom Chicken Flavour due to undeclared Egg and Milk, both known allergens, sources of dietary intolerance and possible triggers of Anaphylaxis, a serious and potential fatal situation, requiring immediate medical intervention.